Derrick Shippee was found dead on Friday in Vermont. Concord, NH — Attorney General Gordon J. MacDonald, New Hampshire State Police Colonel Christopher J. Wagner, and Hinsdale Police Chief Todd Faulkner announce that additional information is available regarding the on-going homicide investigation in Hinsdale, New Hampshire. Arrest warrants were issued earlier today charging Derrick Shippee (age 28) with two counts of second degree murder for killing Mr. Bolster and Ms. Jacobs. Late this afternoon, Mr. Shippee was found deceased in Vernon, Vermont. The Vermont Office of the Chief Medical Examiner will conduct an autopsy to determine the exact cause and manner of Mr. Shippee’s death. VERNON, Vermont (April 12, 2019) — The Vermont State Police is assisting New Hampshire authorities that are investigating the murders of two individuals in the town of Hinsdale. Arrest warrants have been issued for Derrick Shippee, 28, on two counts of second-degree murder. Mr. Shippee has ties to southern Vermont. State police are asking the public to be aware and alert during this active and ongoing investigation. The murders of a man and woman were reported Thursday afternoon, April 11, at a home on Plain Road in Hinsdale, a town on the New Hampshire border with Vermont near Vernon. A vehicle in which Shippee was believed to have been traveling was located Thursday night on Sak Road in Vernon, where the Shippee family owns property. Mr. Shippee remains at large. The Vermont State Police has activated its Tactical Services Unit to assist in the search. Mr. Shippee should be considered armed and dangerous. 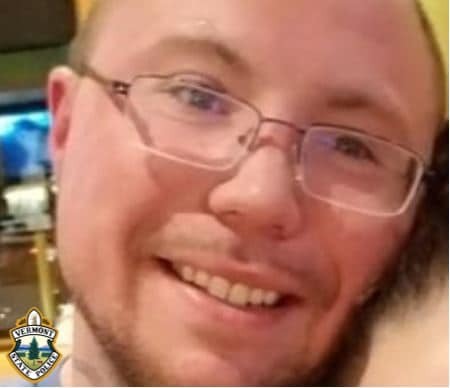 Anyone who encounters him should not approach him and instead immediately call 911 or the Vermont State Police in Westminster at 802-722-4600. Shippee is described as a white man, standing about 5 feet 10 inches tall and weighing 220 pounds, with hazel eyes and brown hair. Questions about the murders should be directed to the New Hampshire State Police. Updates will be issued when more information is available.